You’ve just made a significant investment in HubSpot, a very cool Marketing Automation & CRM Growth Engine. We get it, you’re keen to get started. But your business data lives in multiple places online. It’s a big problem when those different data sources aren’t talking to each other. Relax, we bring order to your data and leave you with a unified technology stack. 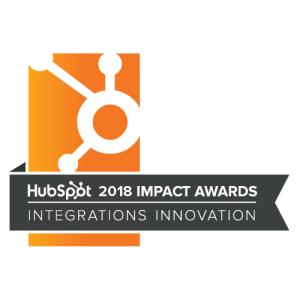 We’ve been doing this for over 8 years and we are a 2018 Hubspot Global Impact Award Winner for Integrations Innovation. What should you expect from Engaging.io? No two HubSpot integrations are the same, so we follow a process with every client. audit what systems you currently use and build a roadmap to the best possible solution for you. Then we get to work building out the optimal solution to make your job easier and do what you need to do in less time. If you’re interested in learning more about how Engaging.io can help make sense of your data by getting the most out of your technology and HubSpot integrations, let’s talk! Act in real time instead of being slowed down by systems that don’t work together.